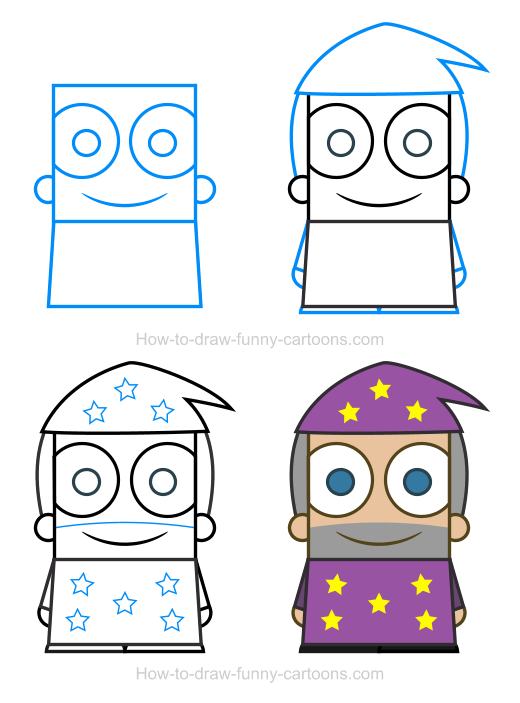 No need to use magic to illustrate this wizard clipart properly in just four easy steps. A simple pencil and a piece of paper are more than enough! Indeed, in this lesson you will learn how to create a simple wizard made from basic elements and filled with plain colors. It's a simple exercise than everyone should be able to achieved. Wizards are everywhere. You can see them in movies, books, graphic novels and television shows. They can be either good or bad. Wizards usually have some kind of power that enables them to perform various tricks that are uncommon to this world. Ready to draw a cool wizard? Let's start now! First, draw the head using a large square as shown below. 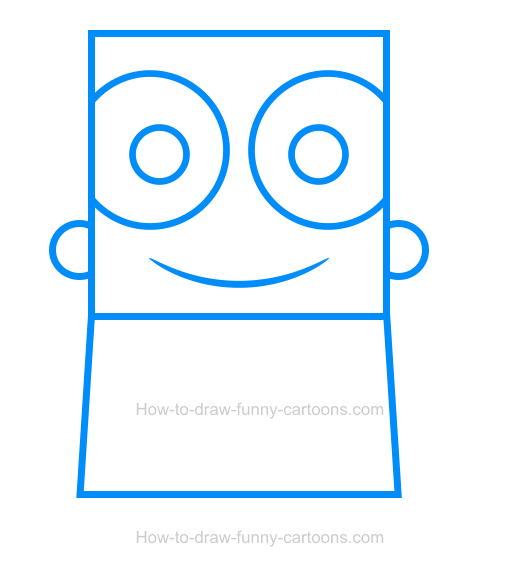 Then, draw another square below the head to represent the body. This new shape must be slightly wider on the bottom. 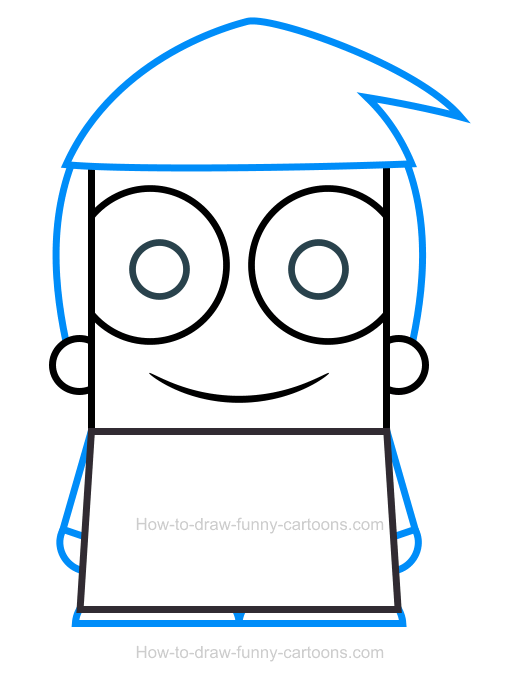 Inside the head, draw the eyes and the pupils using large circular shapes. Smaller circles are used to draw the ears. Finally, sketch a small curved line to form the mouth. On top of the head of the character, draw a hat made from several curved lines. On both sides of the head, draw some lines to create the hair. Complete this step by adding the arms, the hands and the feet using small rectangles and circles. So far the character looks like a simple man with a hat on top of the head. Let's change this! 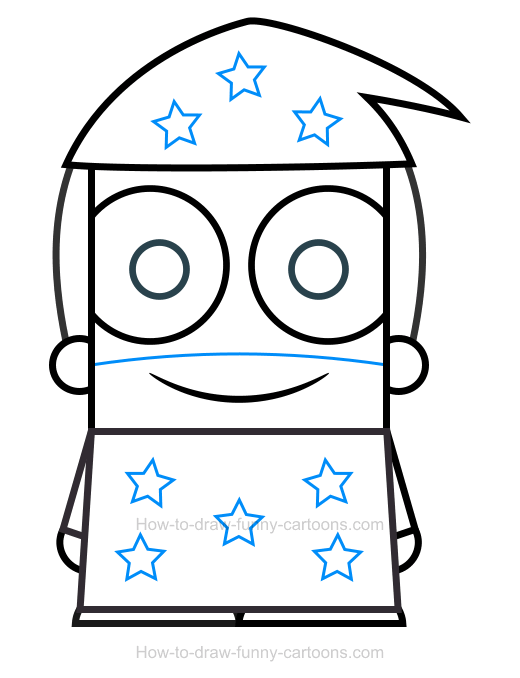 Inside the shirt and the hat, draw a few stars. Don't make these new shapes too large nor too small. Above the mouth, sketch a long line to illustrate the beard of the wizard. Good! It's now time to add colors inside this illustration. 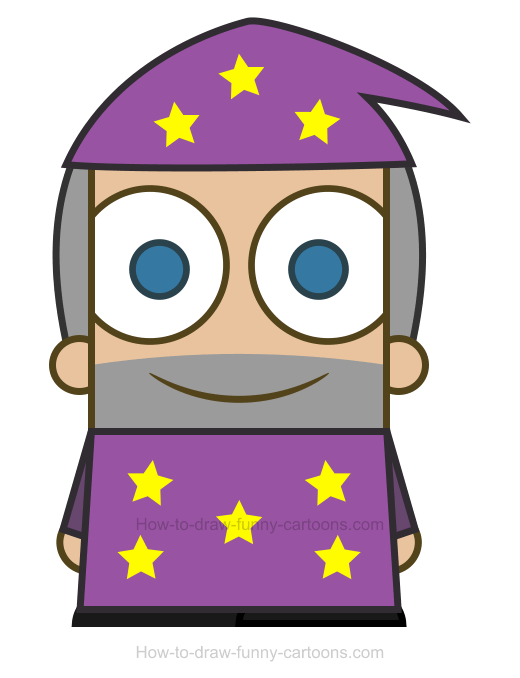 Great work drawing this adorable wizard clipart!